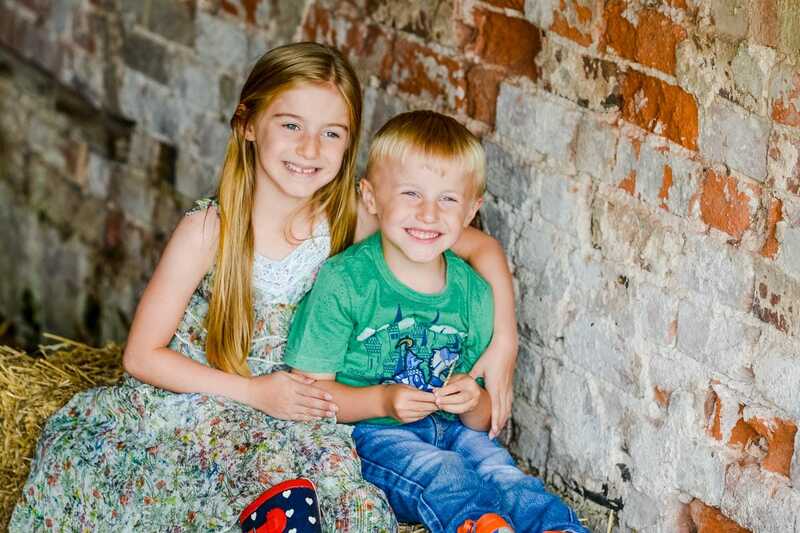 Absolutely loved photographing these gorgeous two! 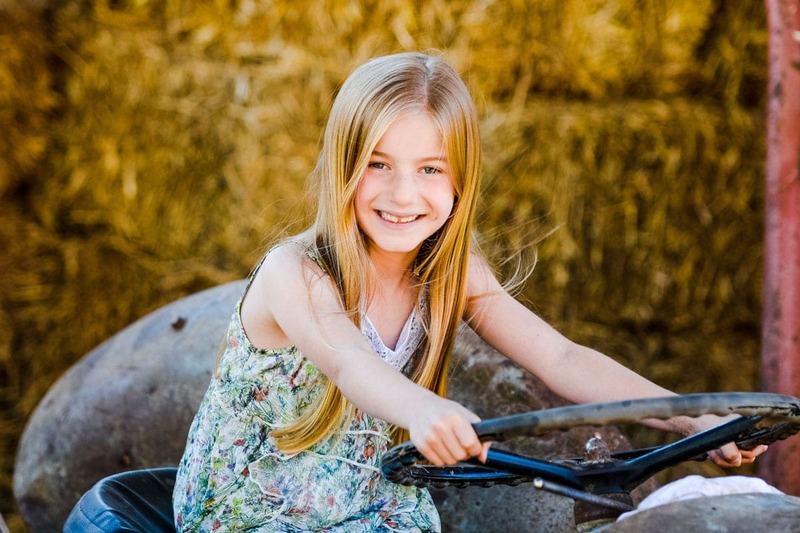 I love how the hay bales highlight their hair and I love their cheeky grins on the green bench! 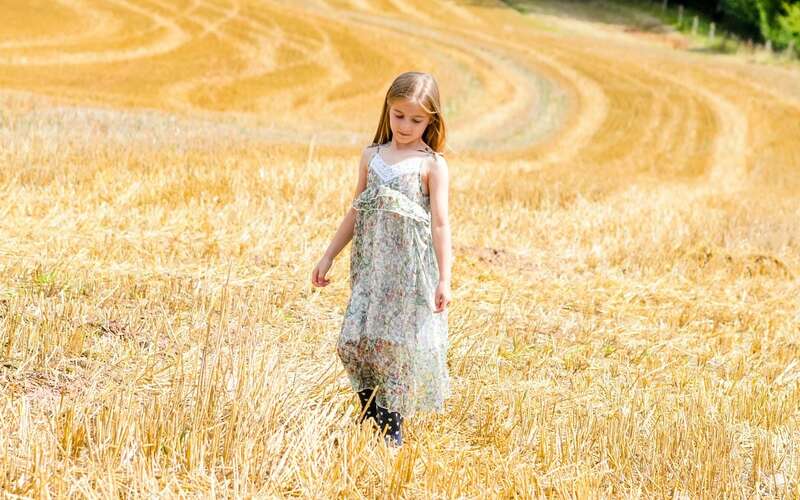 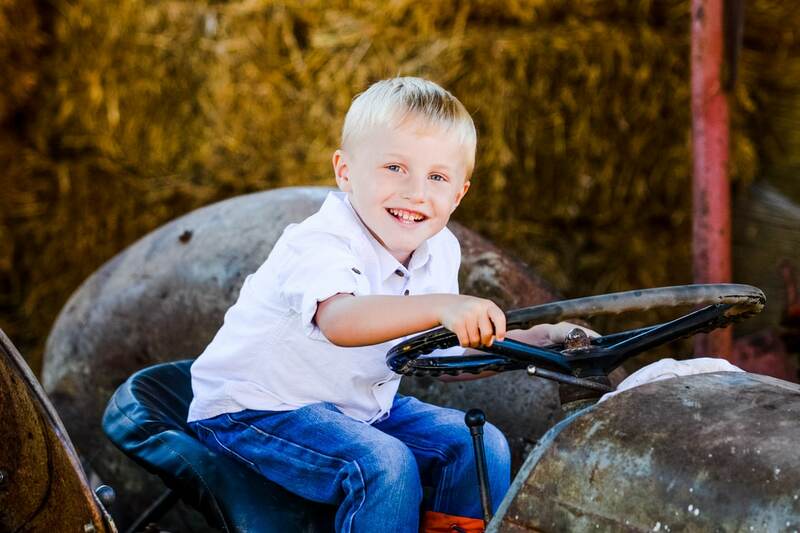 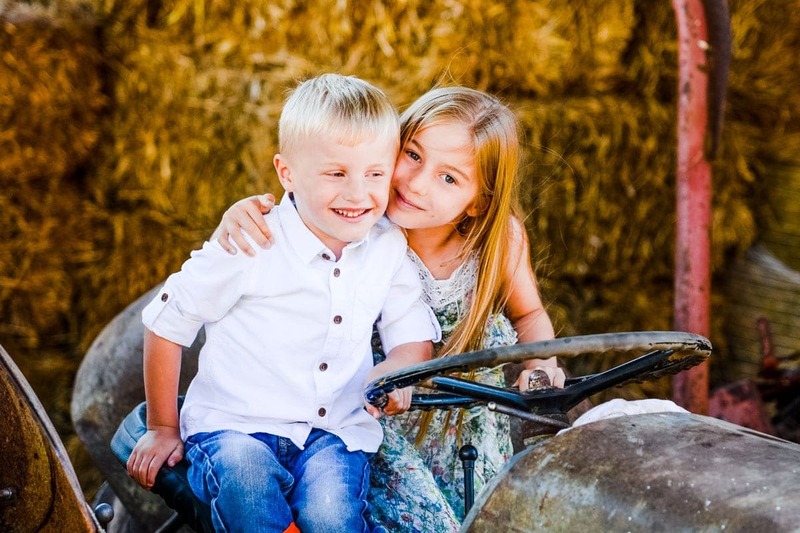 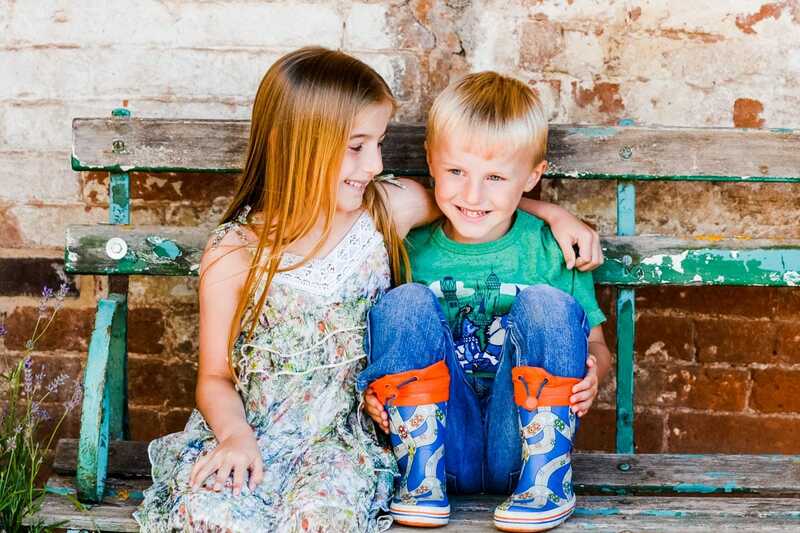 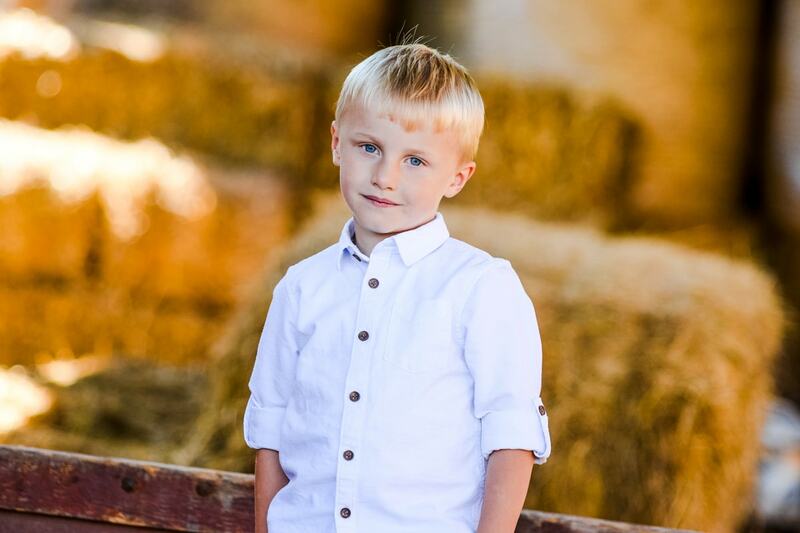 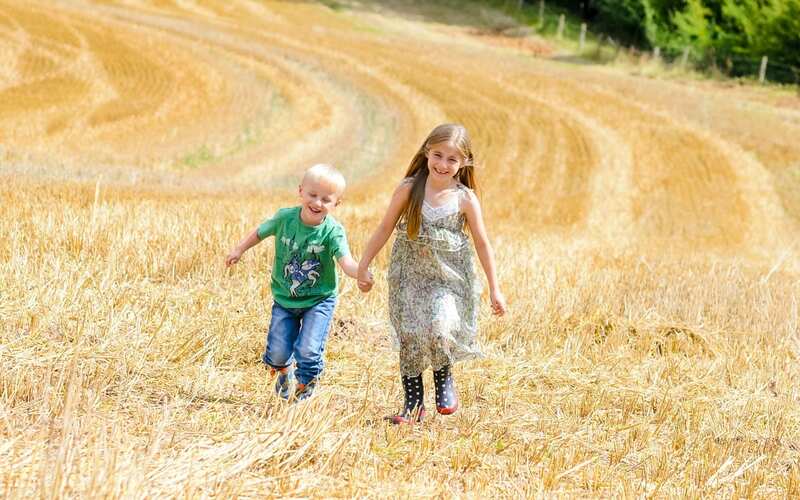 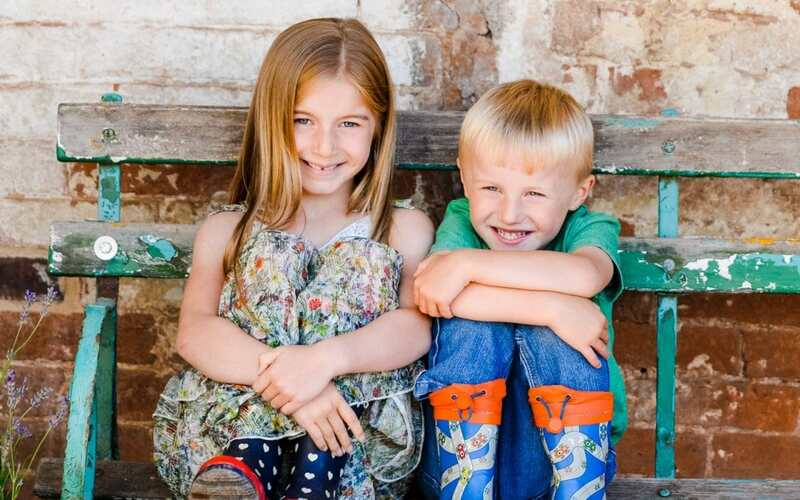 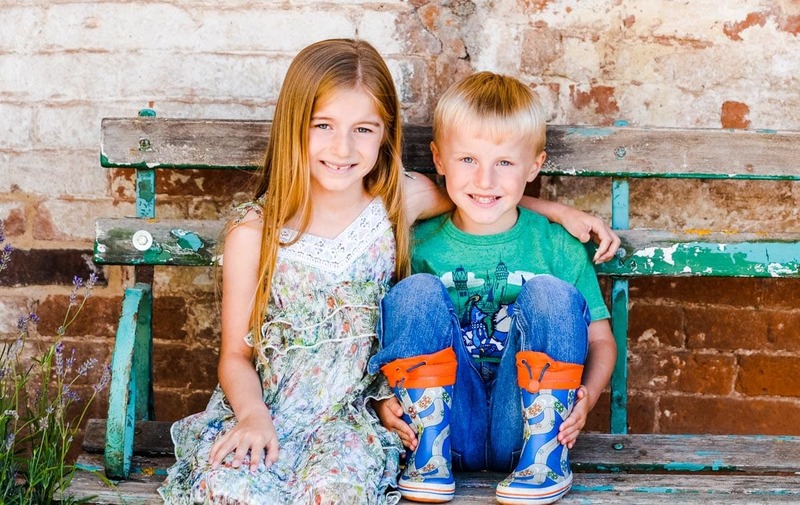 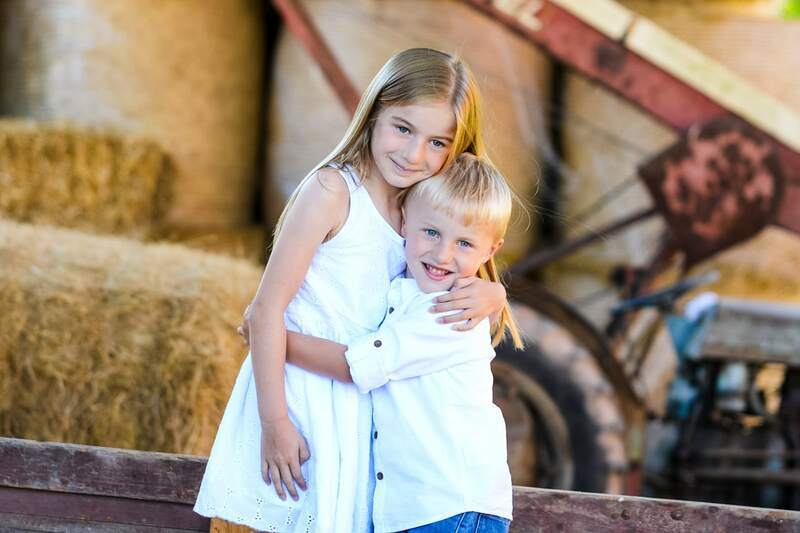 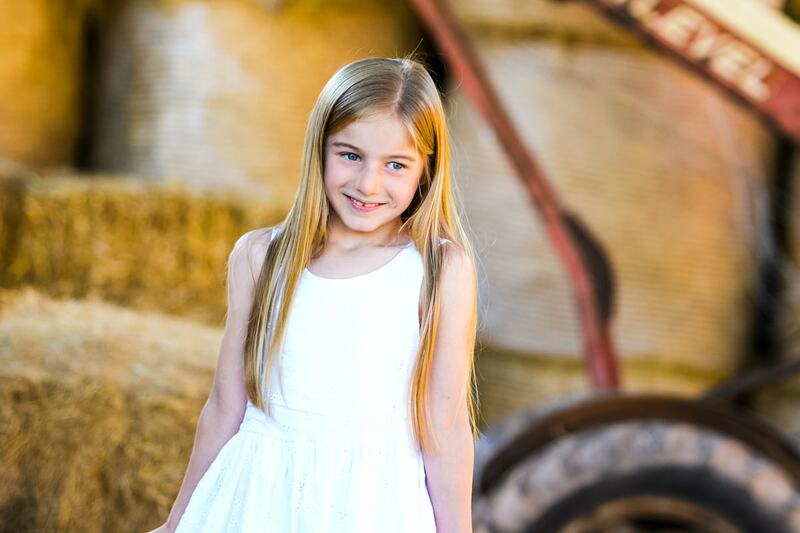 I hope you have enjoyed this post if you would like to find out more about having a summer family photoshoot on the farm then do get in contact.